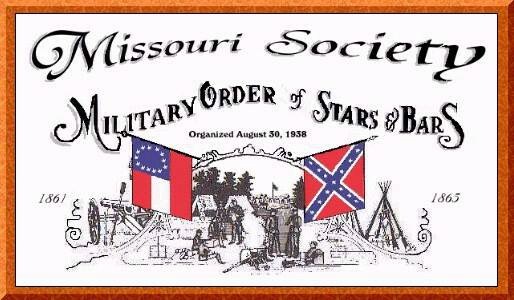 We are the Missouri Society of the Military Order of Stars & Bars … male descendants of gallant and honorable men who served as officers in the Confederate Army or Navy or who were elected or appointed officials of the Executive or Legislative branch of the Confederate government. On September 26, 1987, the first Chapter of the Military Order of the Stars and Bars was formed in this state at Keytesville, Missouri, the Brig. Gen. Francis M. Cockrell Chapter. In a month the Chapter had grown sufficiently to be granted Society status. The initial Society Constitution was presented to the membership by Gaylord P. O’Connor and ratified during the first Missouri Society Convention on September 30, 1988. Today, in addition to the founding Cockrell Chapter, we honor our ancestors through our participation in the Lt. Col. John R. Boyd Chapter, Maj. Gen. John Sappington Marmaduke Chapter, Colonel Upton Hayes Chapter, and Maj. Gen. John S. Bowen Chapter.